Mon., Oct. 8, 2018, 4:53 p.m.
Gonzaga on Monday announced its full television schedule for the upcoming men’s basketball season. The Zags will appear on ESPN networks 16 times, including a non-conference showdown with Tennessee in Phoenix on Dec. 9. 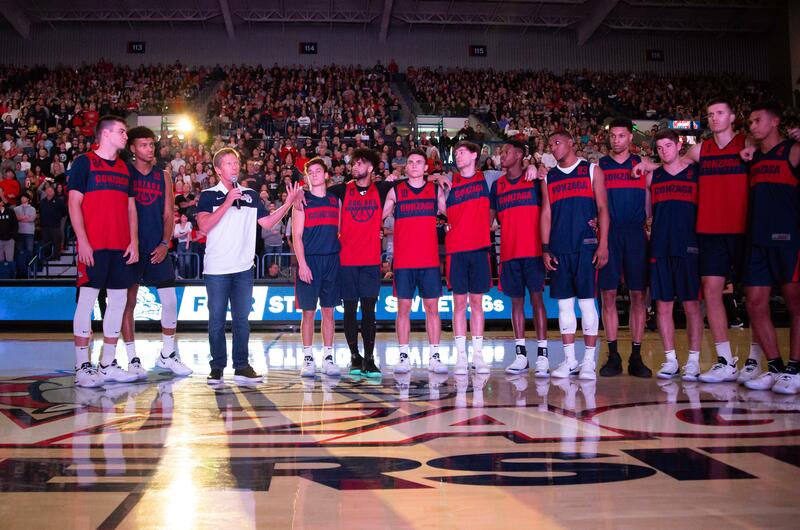 Fifteen of GU’s 31 regular-season games will be aired on KHQ, SWX, KAYU or ROOT. Gonzaga’s exhibition game against Central Washington on Nov. 1 will be aired on KHQ. The season opener against Idaho State on Nov. 6 will be available on KHQ and ROOT. FOX will televise GU’s road game against Creighton on Dec. 1. The Gonzaga-Texas Southern game on Nov. 10 will be televised locally/regionally, but the station hasn’t been determined. The start time hasn’t been set for the regular-season finale against Saint Mary’s in Moraga. The WCC Tournament will be televised on ESPN networks March 7-12. Every WCC conference game will be televised on a national or regional basis, and/or produced for broadcast on TheW.tv, the conference’s digital network. Published: Oct. 8, 2018, 4:53 p.m.